You need to enter data in SAP HCM but the standard infotypes do not have fields to store your data. so you need to create custom infotype, you can use custom infotype to store values in custom fields that are not available in standards SAP Infotypes. 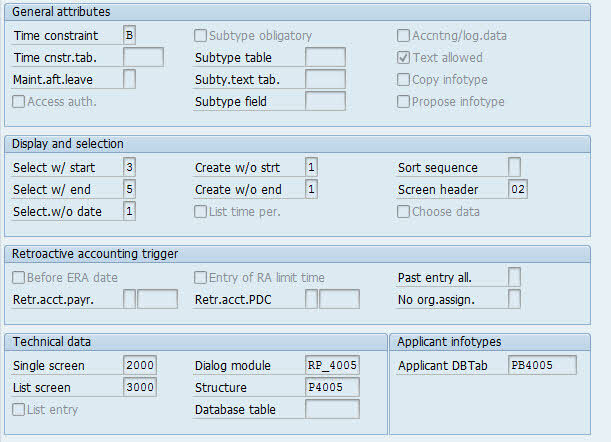 You can create a personnel administration ( PA ) custom infotype by using transaction code PM01, check this following simple steps. 1.Execute transaction code PM01, click on IT tab and enter the number of custom infotype that you want to create, the number should be started with a 9. 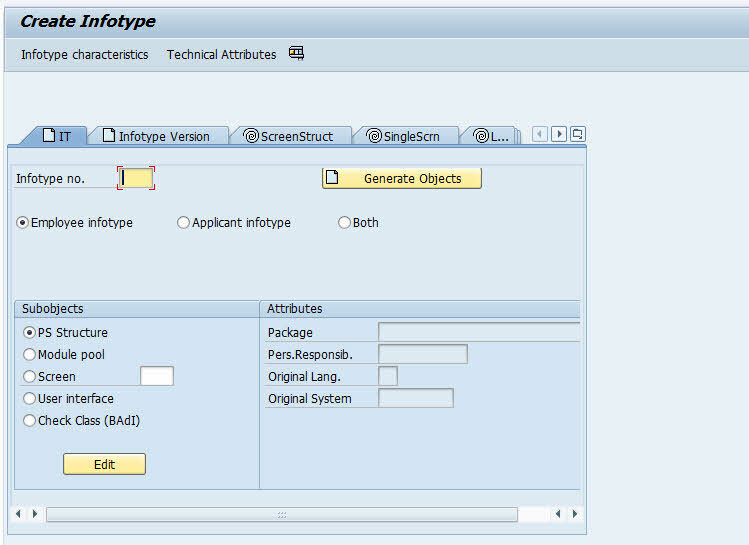 2.Select Employee Infotype and select PS Structure as subobjects. 3.Click Generate Objects button which it brings you to table maintenance window, then you can create PS Structure with all fields that you want to create on the Infotype, then save and activate. 4.Click on Infotype Characteristic toolbar button, enter your custom infotype and infotype text that you have created, then select you infotype then double click on it, then window of infotype attributes customizing details will display.